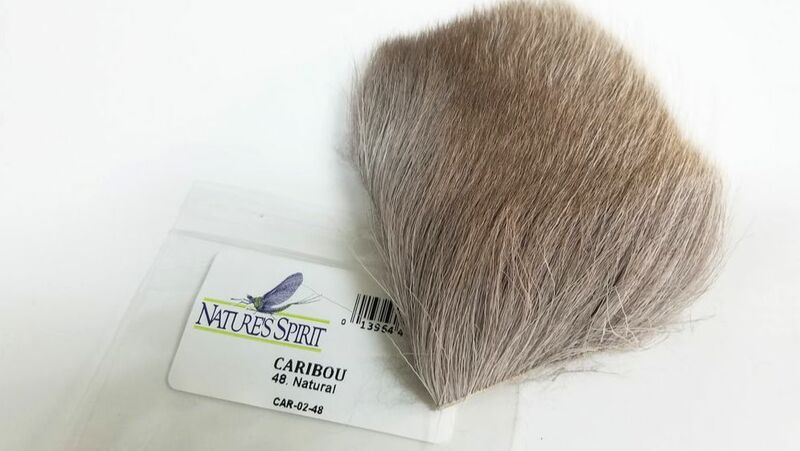 Caribou is a shorter spinning hair that works well for bass bugs and dry flies. It is very compressible and flairs very easily, providing a perfect hair for spun bodies. This coarse spinning hair is gray at the base, transitioning to brown or white. This is American Antelope from Montana. Six popular hair choices attractively packaged for display. Included in each combo are 2"x 3" pieces of early season cow elk, bleached cow elk, bull elk, comparadun deer, all purpose deer, and moose body. Backer card features use description for each piece of hair. 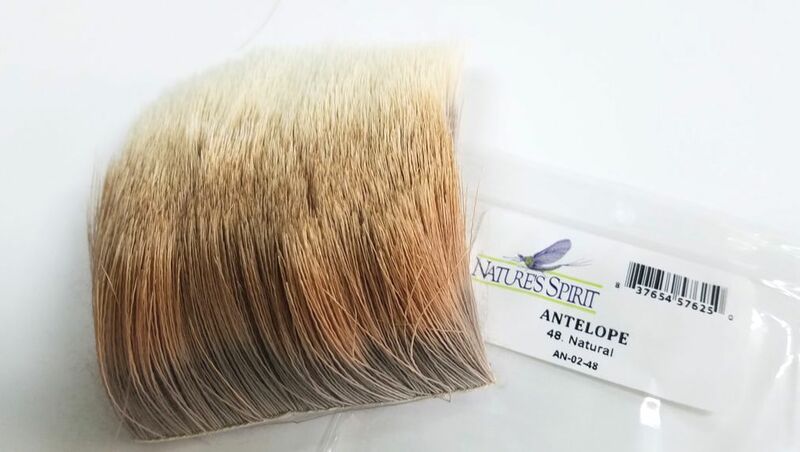 ​Eight assorted 1"x 1 1/2" pieces pf premium spinning hair including spinning deer, spinning cow elk, deer belly and antelope. Each combo includes natural and dyed hair.